8 Responses to Sugartastic Daddy John’s Story. Why do you have to have so many assistants just to get some emergency test done? Do they have a LAB-ER union? 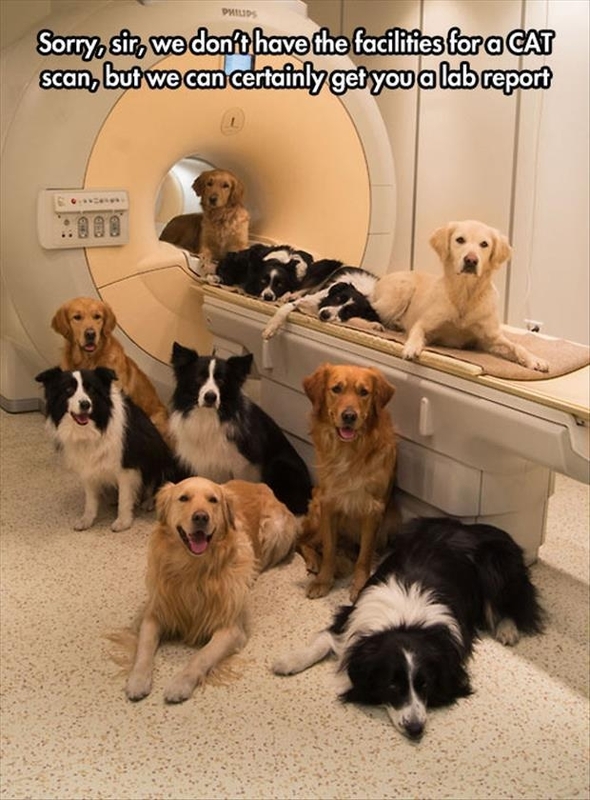 I’d rather have a lab report than a CAT scan. Those CAT scans sure do make a mess in the house. I’m also wondering why his card only said he was a college attendee. Did he graduate? I think it’s unanimous for the lab report alright. The Daddy handed out those cards before he never graduated! The auld cats aren’t doing too well out of this at all, at all! If there’s spinal damage, we might have to put the patient on a board with a cervical collie. Jill Y says I don’t have a spine and that I’m holding her back!